The extremely successful general restoration of Grünsberg Castle residing in the district "Nürnberger Land" has now been recognised also by the county of Mittelfranken. As part of the monument awarding 2010 the trust received a certificate in recognition of credits in monument protection. 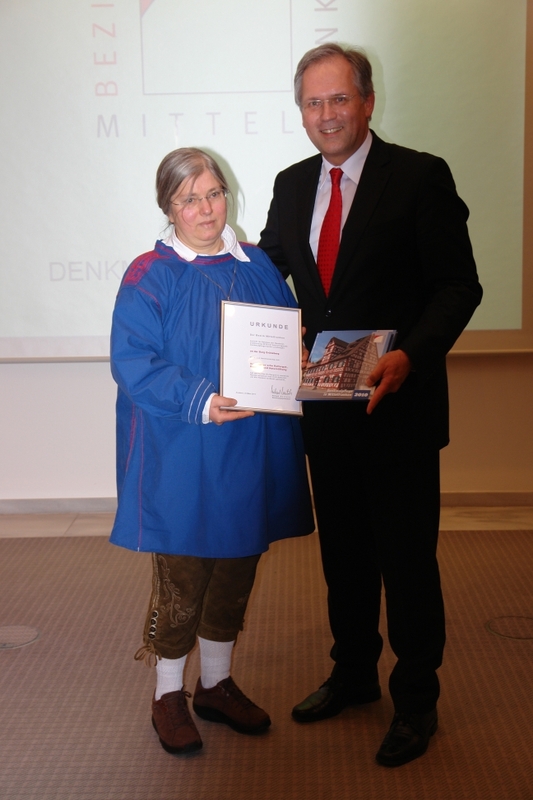 Additionally, the trust received the book “Denkmalpflege in Mittelfranken. Denkmalpflege des Bezirks Mittelfranken 2010”, wherein Grünsberg Castle together with the other 63 monuments having been awarded in 2010, is presented in an article giving numerous coloured pictures and a comparison of old and new photographs.